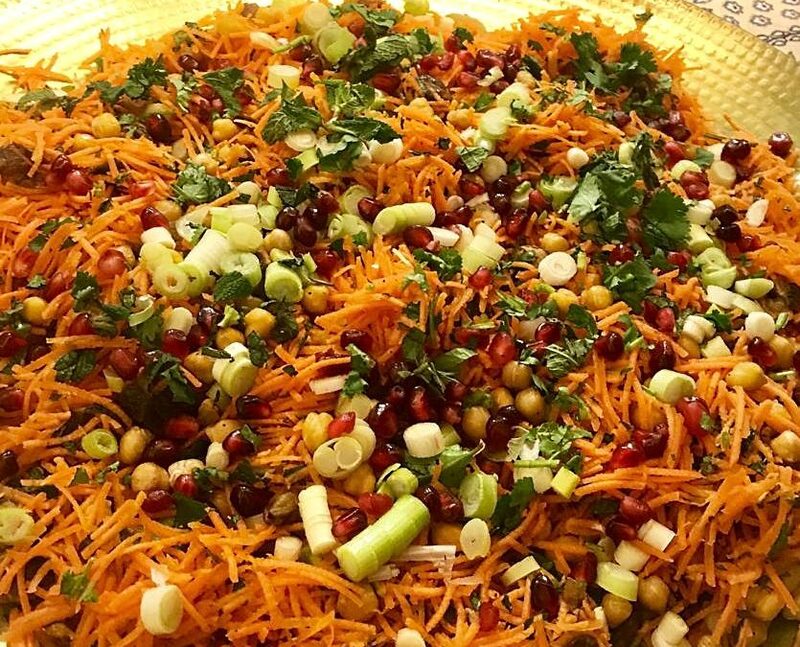 This is one of my all time favourite salads that I make and always goes down a treat when I am running an event or cooking for clients. It livens up the humble carrot and is a great mix of flavours. Drain the chickpeas and dry on some kitchen towel and put into a bowl with a little olive oil, salt and pepper and stir through. Lay on a baking tray lined with parchment and roast for 20 to 25 minutes. For the dressing add all the ingredients together in a bowl and combine.